Bangladesh Bank Latest Job Circular 2018 for various Posts Online Job Application Deadline is See the Particular Job Circular for Details 2018 for different Government Bank Job under Bangladesh Bank Job Circular found here. 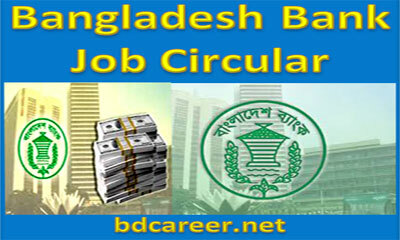 Bangladesh Bank, The Central Bank of Bangladesh will recruit various positions for the year 2018. BB New Job Circular 2018 published on 2018 See the Particular Job Circular for Details. 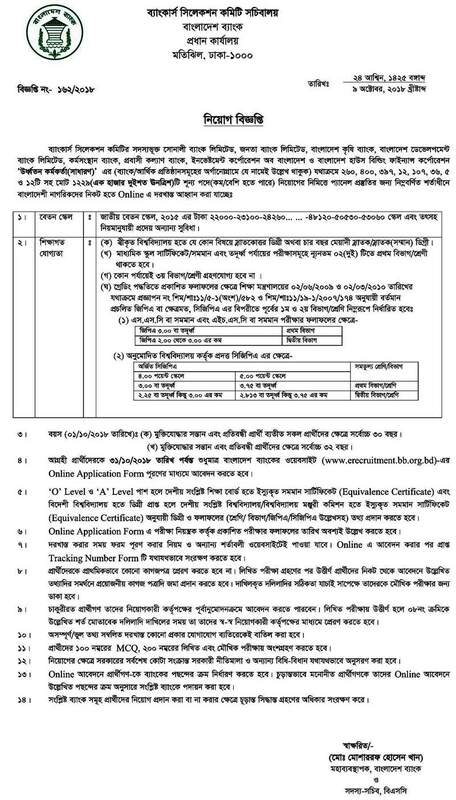 Bangladesh Bank latest Job Online Application Deadline is See the Particular Job Circular for Details 2018. Interested and eligible Bangladeshi Citizenship candidates are requested to apply online for the vacant positions. In this regard, interested and eligible candidates are taken part in the MCQ, Written, and Interview examination. Under National Pay Scale 2015, BDT 22,000-23,100-24,260-25,480-26,760-28,100-29,510-30,990-32,540-34,170-35,880-37,680-39,570-41,550-43,630-45,820-48,120-50,530-53,060. Bangladesh Bank reserves the right to accept or reject any application or appointment of the candidates without assigning any reason whatsoever. Interest and eligible candidates are requested to apply by online through only Bangladesh Bank Website i.e. erecruitment.bb.org.bd. Candidates need scanned passport size photograph and signature for online application.